This fitness equipment is causing some storm of late among gym enthusiasts because of its unique capabilities. Is it worth all the hype? Or what is it for those hearing about it for the first time? 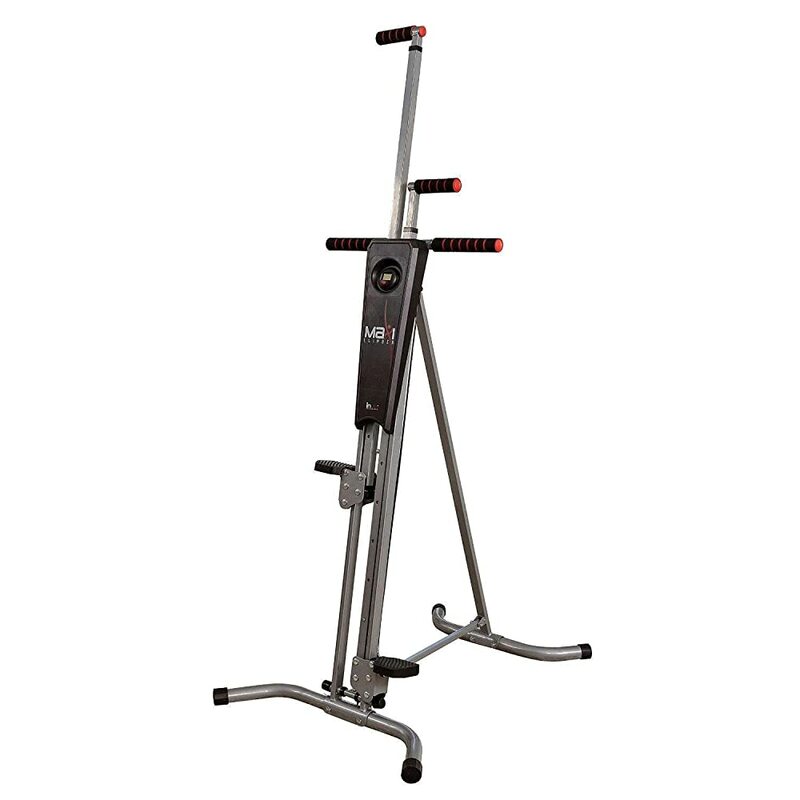 In this Maxi Climbers Reviews, we will expound on this new fitness equipment. What Is A Maxi Climber? Maxi Climber is a vertical climber fitness equipment that imitates the movements your body undergoes when you are wall or rock climbing. This sort of mimicry ensures that the muscles on your legs, the midsection, and the upper body get a thorough workout. It provides an effective and faster means of burning fats and excess calories. To achieve this feat, it works by getting most of your muscles, biceps, and triceps in the reach, push and pull movements mechanisms. As you “rock climb,” the Maxi Climber utilizes your body’s weight as resistance to the parts motions. The equipment therefore supposedly allows you to rid your body of excess calories in an hour than what a treadmill and exercise bikes are capable of. As you continue to work out, you sculpt a leaner body with strong muscles throughout the body. This equipment is actually a performer and offers you a host of benefits that will be worth your investment money. A Maxi Climber provides a full-body workout since it involves all the major groups of muscles in your body. Be it the upper body, the lower body or your core. When you have this kind of muscle involvement, you develop a leaner and more masculine body after a short while. As a Vertical climber, the Maxi Climber provides an easy a fast fat-blasting mechanism. 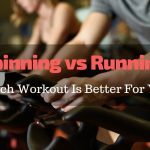 Additionally, all the pulling and pushing ensures that you burn around 509 calories per hour of exercise, as compared to the 250 calories burnt on a treadmill. Your Maxi climber has a folding mechanism so that you can store it anywhere after a workout. This is especially of importance when living in a tight space. This is unlike other home fitness equipment that will need you to fix them somewhere in your room. The cold rolled steel used to manufacture this Maxi Climber is responsible for its durability. Cold rolling eliminates the internal stresses in the steel, making it more resilient. Maxi Climber weighs about 33 pounds making it easy to move about. This reduced weight that is useful when it comes to transferring it from room to room when you need to. It also makes it easy to store and retrieve it when you need it next. The Maxi Climber is made such that it can be used by a variety of users of any size and shape. The easily adjustable climber height makes all these possible. However, when using it, you should ensure you use the proper height so that you avoid any potential mishaps. A Maxi Climber is not a regular stair stepper. It is actually one of the best and more popular options that can be found in today’s market. You are now starting to wonder what makes it tick in the right places, right? As part of this Maxi Climber Reviews, let us look at some of the features you should look forward to. To ensure that this fitness equipment does not crumble under the intense workout, it is made from steel that has been cold rolled. Cold rolling of steel improves its load-bearing capacity of up to 240 pounds. At first look, you may be deceived by its lightweight design and dismiss it as low quality. In contrast, the steel construction makes it extremely durable and withstand most of the weight of its users. This timer is digitally displayed and aids you in monitoring how many calories you burn as you go about your workout. You would find this feature useful if you are one of those who hates fumbling with timers as you work out. You step on the maxi, and the timer starts doing its thing and stops immediately you step out of the machine. If you are short or tall, this climber hives the freedom of choosing the best height for your workout needs. Having a choice of height is useful as it determines how comfortable you are when working out. Are you running out of space? Well, this climber will require very little of it since it can be folded for easier storage. It will fit right into your closet with ease, keeping it out of the way. These grips are ergonomically designed to ensure you have a firmer grip on the handle during sweaty workouts. The elimination of slips, therefore, gives you full control of the equipment. You are only left with minimal parts to attach and off you go. This Maxi Climber Reviews would not be complete if we did not outline what we like and do not like about this climber. Take a look so that you can be aware of what you would be getting, and what else people say about it. Provides a full body workout: This climber involves all the major groups of muscles in your body, from the toes, all the way to the fingertips. 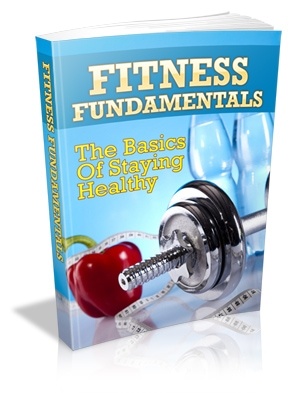 In the process, you get a well-toned body, and an increased cardiovascular fitness. Takes up very little space: A compact design and a smaller footprint ensure that it fits into the limited space that you have got left. It is therefore perfect for those who need house fitness equipment, but space is an impediment. Noiseless workout: With this equipment, you do not have to worry about disturbing your neighbors and roommates with unnecessary noise during your workout. You can track your performance: With its smart timer, you are always in the know-how of how many calories you have burnt and for how long you have been working out. Strong & durable: Cold rolled steel used in the structure ensures that you use your equipment for quite a while. Has a weight limit: Unfortunately, this climber is not for everyone. This is because it has a weight limit of 240 pounds. You would, therefore, have to lose some weight before using it. Height limitations: This climber requires a lot of ceiling clearance so that taller people do not constantly bang their hands on the ceiling. You require decent workout shoes: The pedals are studded, so you need extra workout shoes to prevent the discomfort. With such an amazing piece of fitness equipment, one is always tempted to be on it all day long. I remember that time when I got my first bike as a gift for my eighth birthday. Boy, I used to ride that thing all the time until I had no muscle left to move an inch. I bet you also did such a thing at some point. This is why it is quite hard to figure out the best workout routine on the Maxi. The resistance you feel and the muscular workout occurs all at once, hence you will not find the equipment to be too much challenging. Additionally, since all the muscles are strained at the same time, a uniform tension is created on both legs and arms. With this in mind, it is recommended that you perform a 10 minutes workout tops every day or regularly throughout the week. However, for beginners, you should schedule shorter durations, but more frequently since you might overload your muscles at once. Afterwards, you can prolong the sessions as long as you can handle doing so. Why Maxi Climber For Weight Loss and Body Toning? Let me make a quick guess. The reason why you need a Maxi Climber is so that you have that killer shape. I probably got that right, didn’t I? Whether you are a gentleman/lady, you will only attain that shape that gets heads turning by losing some weight. Losing weight basically relies on the body’s ability to burn the extra fats. After a decent meal (with a considerable amount of fats), the excess fats are stored in the body. The more this fat accumulates, the more weight you gain. To lose weight, your body has to get rid of this fat. And this is where the Maxi is most effective. The mimicry of vertical climbing exerts a lot of strain on your muscles, causing a huge energy usage. To replenish this energy source, the body burns more fats to give off energy as a byproduct. The more energy you use, the more is burnt. The more fat is burnt, the more weight you lose. As a testament to the Maxi’s excellent calories bursting capabilities, studies show that 509 calories are burnt when on the Maxi, as compared to the 250 when on a treadmill. 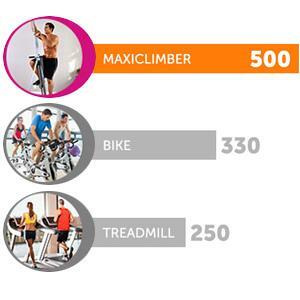 The Maxi Climber involves the major muscle groups in your body as you work out. The muscles in your upper body, lower body and the core of your body are all involved in the workout. By alternating between the pronation and supination hand positions, the pectoral, triceps and biceps muscles are brought into the fold. You would, in turn get a thorough muscle toning from toes to fingertips, butts and thighs. 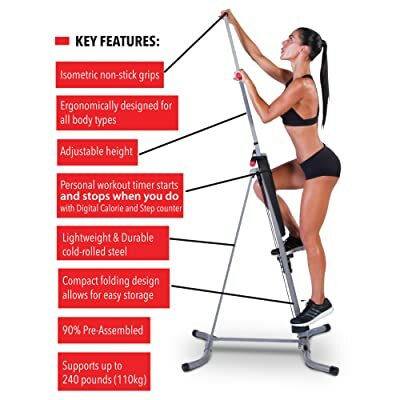 Top notch ergonomically designed, amazing calories burning capabilities and a unique compact design, a Maxi Climber would sound like everybody’s one-stop shop for fitness needs. Too bad for some people though. This is because this climber comes with a weight limit which bars people above a certain weight from using it. The design currently on the market can only support users of up to 240 pounds. This weight might seem impressive, but there exist some of you above this limit who like to have a feel of its amazingness. If you tip the scales above 240 pounds, you can still use the Maxi, but after undergoing some other sort of weight loss program. Jogging, walking etc. could be very suitable candidates for you. Consult your personal doctor before you make any changes to your workout plans. It is your doctor who would be able to hook you up with a plan that would lead to your ultimate dream of climbing the Maxi Climber. So, until Maxi comes up with a newer design that accommodates weights more than 240 lbs., you should not climb this one just yet. Now that you have known everything you wanted to know about a Maxi Climber, you have probably decided to try one out. But there is only one problem remaining: What to keep in mind before you buy one. This should be helpful. Before you decide to bring a Maxi Climber home, ensure you have an adequate amount of vertical space. While folding and storing it is relatively easy, using it while it is upright is the real hassle. This climber requires about 8 ft of ceiling clearance for optimum use. This is not to mention if you are tall. The footprint will occupy lesser space, but the height will not work well in basements or sheds with lower clearances. How effective the climber is to you is dependent on your weight. If you weigh more than 240 pounds, you should not bother buying this equipment since it will not withstand your weight. But if you are planning on buying one and waiting until you can comfortably use it then go for it. For the below 240 pounds, and you are in need of some wall climbing action in the comfort of your house, well then this is your climber. You can make the purchase and have a thrill as you acquire a leaner body. You are only able to use the maxi climber if you can create time for it. There are those of you who might like the features very much, but do not have the free time actually to use it. Should you at any moment find yourself in such a scenario, then there is no point in buying one. It is meaningless to have such an amazing machine lying idle somewhere in your house without being utilized. It is like buying a Lamborghini and keeping it parked in your driveway. Before you consider buying the Maxi Climber, the floor on which you plan on mounting it during workouts should be in a condition to handle the rigorous movements. The floor should be considerably rough so that the climber doesn’t move around. A smoother floor would make the climber move around during the intense workout sessions, thereby reducing your concentration. At the cost of about under $200, it is not a climber that you would ordinarily consider cheap, more so if you will not be using it very frequently. You should, therefore, make an informed decision if this will be a worthy investment for you or not. If you feel that this amount is okay with you, and you feel that it will be a good worth for your money, then go for it. On the other hand, if this amount does not make sense based on your current financial budget, then it would be a good idea to postpone owning it for a little while. How safe is the Maxi Climber? The Maxi Climber is very safe since your body is used as resistance. No stress is therefore exerted on joints. Is the Maxi too intense for beginners or those who work out less regularly? What’s the maximum weight the Maxi can withstand? Does the Maxi has a tension adjustment? What is the maximum height of the Maxi? 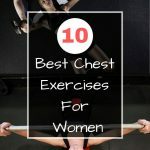 Where should I place the Maxi when I am exercising? On a stable and flat hard surface. Do not place the Maxi on any rug. How foldable is the Maxi? The Maxi compactly folds so that you can store it in a closet. When using the Maxi, what should I be aware of? When on the pedals, maintaining an upright posture is paramount. You should also be parallel to the Maxi with arms half extended. Leaning back may destabilize the Climber. How noisy is the Maxi? It produces minimal noise when the arms move up and down. This noise does not cause any disturbance though. It comes when 90% pre-assembled. The remaining assembly is pretty straightforward. Having choices and alternatives is a good thing for me. I always want to be in a position that if I miss product A, I can always have product B to rely on. Here are some of its alternatives. The Conquer is a great alternative to the Maxi. This Vertical Climber enables the performance of low impact, yet high-intensity workouts. In this way, every session will, therefore, lead to the aerobic burning of fats that rids your body of fats. The results are low impact and less intense muscle toning. It almost resembles the Maxi due to the steel construction. 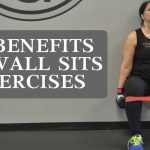 This creates a durable and light equipment that produces less noise during workouts. You would also be able to fold and store the Conquer. This climber gives you a two-workout option; you can use the stationary handles so that you only work on your legs or adjustable handles for a full body effect. To ensure that you do not strain much as you work out, ergonomic grips that are non-slip are fitted onto this climber. When you combine this with the wide foot pedals plus easily adjustable handles, you get an amazing gym equipment that is less strenuous on your body. The latest version of this Climber has a weight limit of about 275 pounds. This means that if you weigh above this, you should start with a weight loss program before hopping onto the Conquer. When you have neighbors or roomies who you do not want to disturb while working out, then the quiet operations from this climber will provide you such conditions. The Sunny provides the amazing performance of a Stairstep workout. 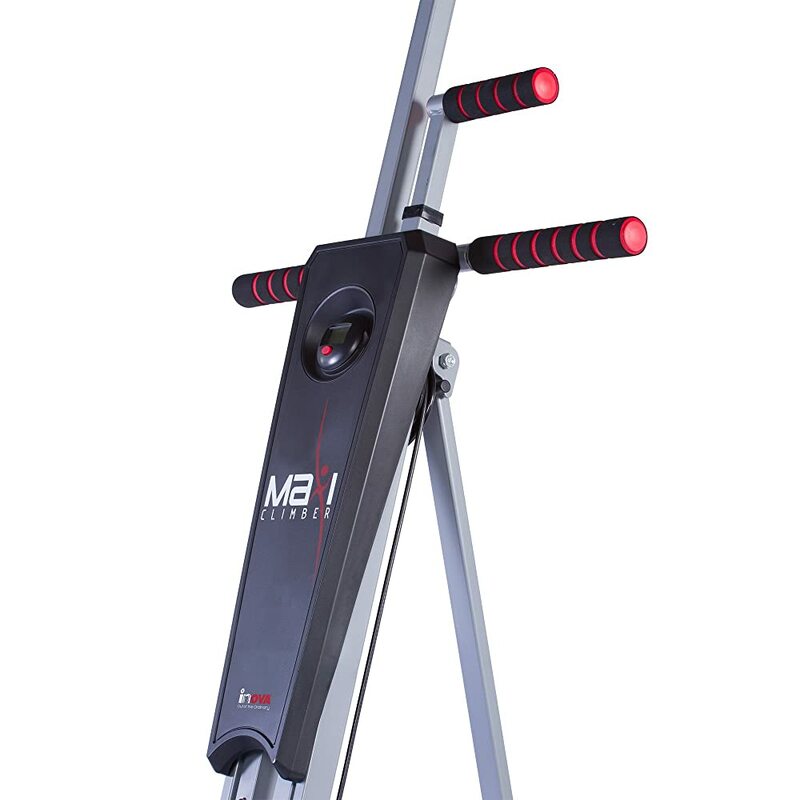 This stepper is excellent at ensuring a low impact workout and calorie burning exercises. In addition, it is ideal for cardio as well as mountain climbing workouts. As a stepper workout machine, the Sunny effectively tones your calves, thigh muscles, glutes, lower and upper body. In the process, an easy to read display provides real-time information on your workout progress. You are therefore able to monitor how long you have been working out and how much calories you have burnt in the process. Two cylinders having an adjustable setting for the resistance are used to tune the machine to the various users: Novice and experienced. Storing is a key issue with this home fitness equipment. In this respect, it is foldable and uses minimal space when in use or being stored. Featuring a heavy-duty steel-plastic combination, this equipment is sturdy enough to withstand user weight of up to 220 pounds. Breaks down on several occasions. Keeping fit in the comfort of your house has long been desired by the busy folks who find gym trips too time-consuming. 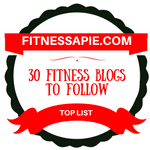 These are the people who want a quick fix for their fitness needs just as those who go to gyms. This is where a Maxi Climber comes in, providing all your whole-body workout needs in a couple of minutes, in the comfort of your place. With this level of convenience, you might think that you would break the bank to acquire one. In contrast, this climber is relatively affordable. Another reason to love the Maxi Climber is its portability, sturdy construction and durability. All these work in combination with a need for a small footprint space, although the vertical height is considerably higher at 8 ft. If you are interested, you can check out the product here.